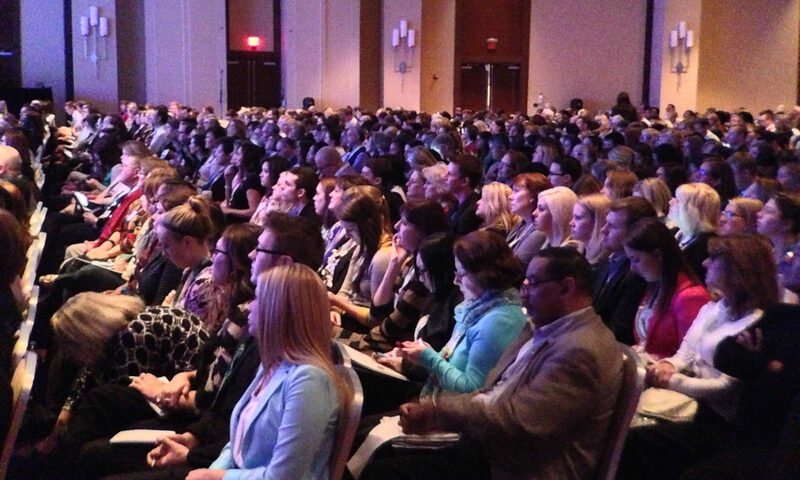 Mobile websites for your conference or event provide an accessible, innovative, and cost-effective way to reach virtually every attendee and put relevant information at their fingertips. As Neil Jones from eMobilescan pointed out in a recent guest post for us about the benefits of having a mobile website, the market is rapidly growing alongside the increased smart phone market, they increase brand visibility, and being the first to have a quality mobile site is a sign of industry leadership. Most importantly for the event and conference space, a mobile website brings the brand within the grasp of the customer. 1. Customization: Creating a “personalized schedule” feature for smart phone devices means that your conference or event attendees will be intimately familiar with what’s happening at your event. Making a personalization feature accessible on the iPhone, iPad, Android or Blackberry means staying ahead of the conference curve. 2. Twitter Feeds: With your mobile website, you can feature the Twitter feed from whatever #hashtag you choose. Featuring a Twitter feed in real-time increases the participation, importance and use of a key social media engagement tool. 3. 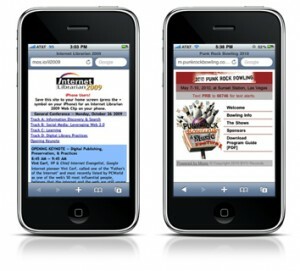 Mobile Forms: Want feedback on a specific set of questions, or information from your attendees? Hosting a form asking for simple information or feedback that is important to your organization on a mobile website during an event is a great way to convert relevant traffic to relevant information. 4. Key Links: Keeping all of the key links that attendees at your event or conference will need during the event in one place is a great way to define what is important for your attendees. Before they have a chance to think about where they should look for more information, you can point them where you want them to go. 5. Contests and Polls: Want feedback and information about your event during your event? By creating a mobile website specific to your event, you can use the concentrated flow of mobile traffic to gather the opinions or host the contest that will help to define the undercurrent of your event. 6. Sponsorhips: Your banners and other site space are prime real estate. If you’re going to be promoting a mobile website, you can put that real estate up for sponsorship, meaning another source of revenue for your event. 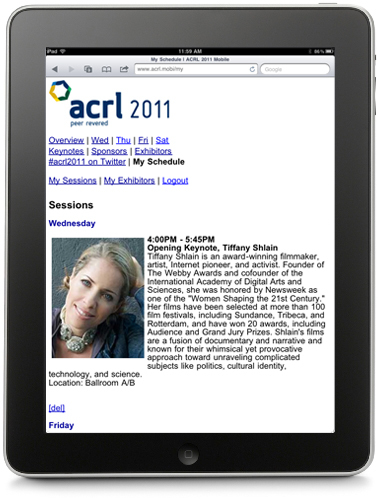 To see an example of a recent mobile website on your phone, visit www.acrl.mobi from your mobile phone, iPad or other tablet. If you like what you see and hear, contact us to talk about how to make it work for you.